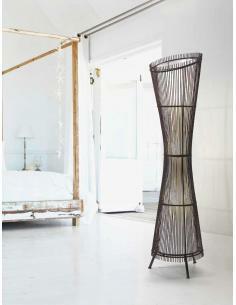 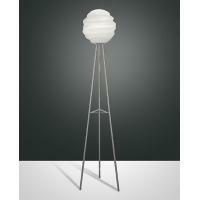 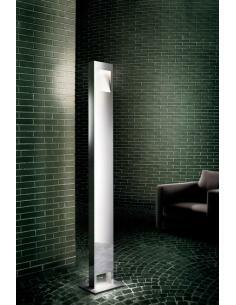 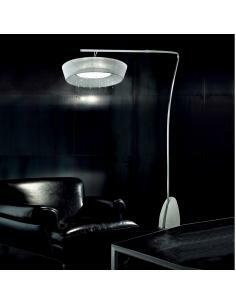 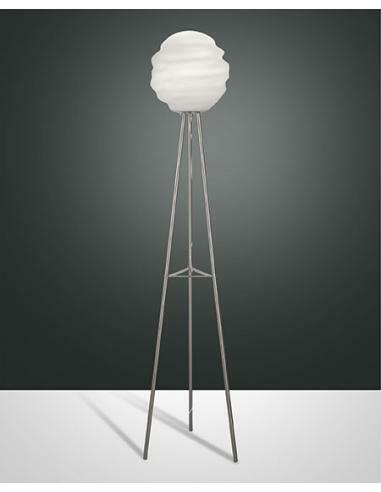 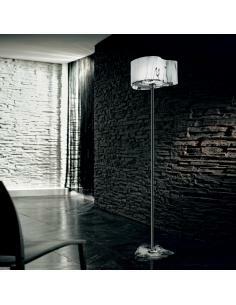 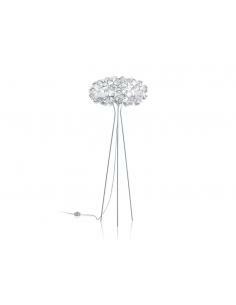 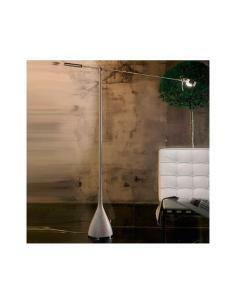 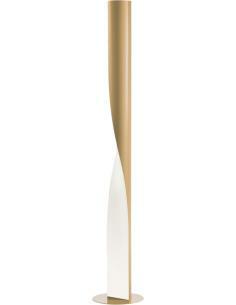 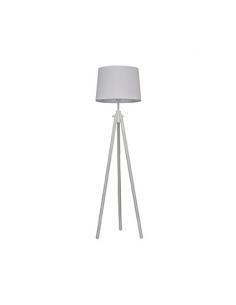 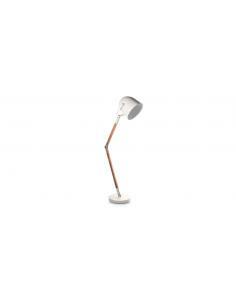 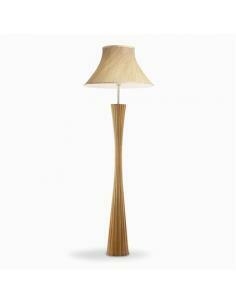 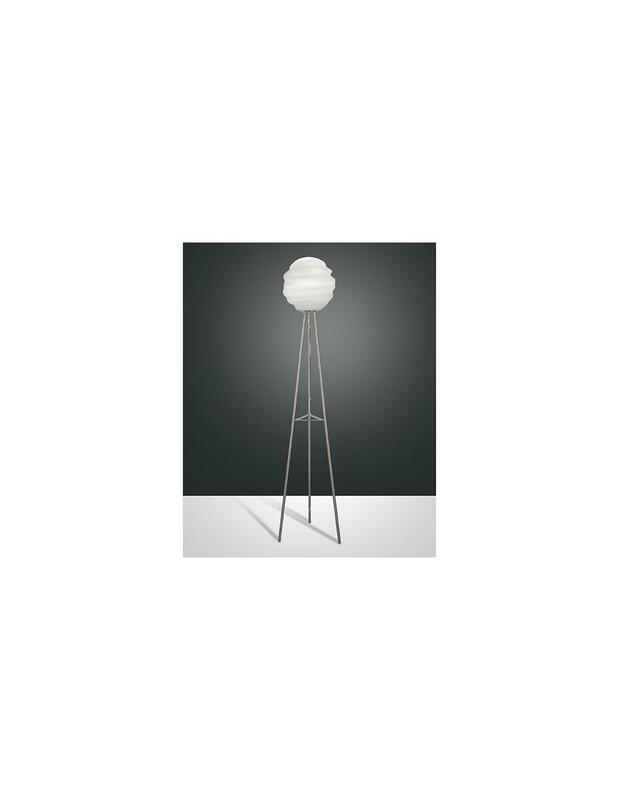 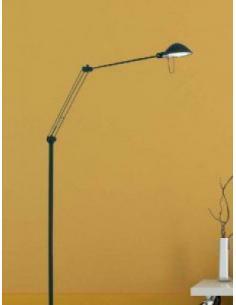 Floor lamp whose constituent materials are white blown glass and satin-finished metal frame. Power on with the switch. 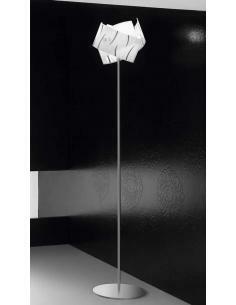 H 165 / Ø 30 cm. 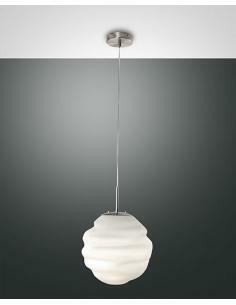 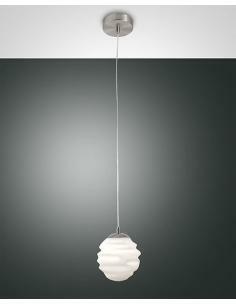 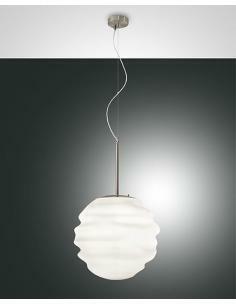 Suspension lamp whose constituent materials are white blown glass and satin-finished metal frame. 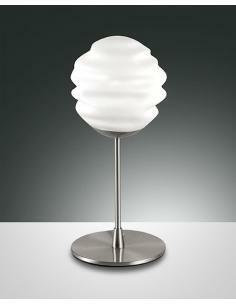 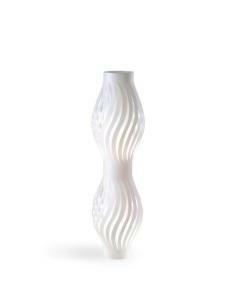 Table lamp whose constituent materials are white blown glass and satin-finished metal frame. 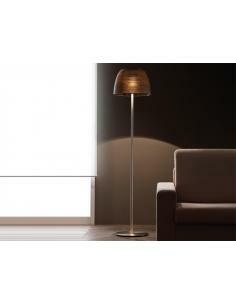 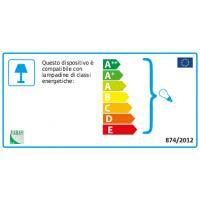 Body light made of wood and decorated by hand and the end in chrome-plated metal. 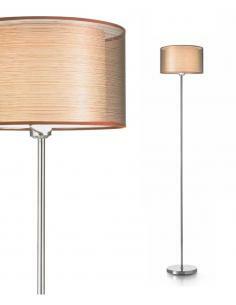 Lampshade in double fabric: white on the inside and pleated in color hemp on the outside.